With audacious economic changes and maverick policy reforms by the Modi Government, such as demonetization and implementation of GST, never before has the economic milieu of the nation been so polarized with economists and political pundits hotly debating the long term effects of these policies on the economic health of the nation. As India’s GDP growth rate slowed down to a new low of 5.7% for June quarter, the voices echoing criticism for demonetization began reverberating from all parts of the country. Despite the fall in growth rate, the President of the World Bank Jim Yong Kim deemed it as an aberration and prophesied that the GST will have a positive impact on the Indian economy. Echoing similar sentiments, Moody’s Investors Service upgraded India’s sovereign ratings from lowest Baa3 to Baa2 and changed the outlook from stable to positive, in a ringing endorsement of Modi’s economic policies. This upheaval in rankings has come for the first time in 14 years and speaks volumes of the optimistic view that the world beholds of India’s growth story. This improvement in ratings is likely to attract a fresh round of foreign portfolio investments and make external commercial borrowings cheaper. 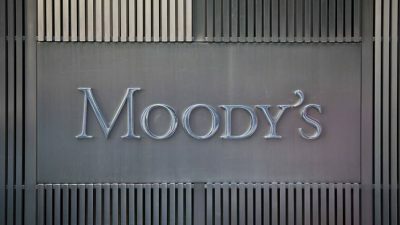 However, Moody’s appreciation comes with a caveat, as the agency warned that India’s ratings could be downgraded if its fiscal metrics and the outlook for general government fiscal consolidation deteriorates materially. Standard and Poor Global Ratings Agency retained its BBB rating for India’s sovereign with a stable outlook, belying expectations that it may follow the footsteps of its rival Moody’s Investor Service. S&P cited India’s low per capita income, sizeable fiscal deficit and high government debt and reiterated its BBB rating. The distinct opinions of the experts and disparate ratings of the credit rating firms underline that winds of change are in the air and India’s growth story has a few good chapters to be written in the time to come.